Trigger warning: some insensitivity to gun-phobia, as well as calls to end safe spaces for shooters are explored. There is no such thing as a safe space from shooters, but gun-control advocates have succeeded in creating a safe space for shooters. When quacks like Nikolas Cruz want to massacre innocent people, like what occurred at Marjory Stoneman Douglas High School last week, there’s no time to wait on a 911 call. Law enforcement response times are too slow. According to research from the Department of Homeland Security, the average school shooting lasts 12.5 minutes, while the average police response time is 18 minutes. Even the presence of assigned deputies at school is no guarantee of survival, as the Coral Springs Police Department confirms, alleging 4 deputies were in range, but didn’t confront Cruz at the scene of the crime. The result: 17 innocent souls lost, and not even a day went by before the NRA and law-abiding gun owners were villainized by the media. Understandably, outrage is a natural outgrowth of grief, but must be directed by reason and toward the killer, not toward law-abiding citizens – as if defending the Second Amendment makes them accessories to the crime. What should be an outrage is that, in the first 12.5 minutes of an active shooter crisis, everyone in the building is free game for the shooter. It should comfort no one to know that, at the University of Michigan, there is an absolute ban on carrying a concealed weapon on campus, barring a waiver by the Chief of Police for “extraordinary circumstances”. That means even if student veterans, active military, or former police officers who are trained in the proper handling of firearms and hold a valid State license wish to carry, they can’t. I suppose the increasing occurrence of garden-variety crooks shooting up schools full of disarmed victims is not extraordinary enough. Short of shouting loudly, throwing items, running, or barricading yourself and others in a room, you would be utterly defenseless if an active shooter occurred at the University. This should alarm everyone. The solution should be simple: allow certain students and faculty on campus, who are trained and licensed in handling weapons – like active military — to voluntarily carry concealed so they can be a first line of defense in a crisis. The solution should be simple: allow certain students and faculty on campus, who are trained and licensed in handling weapons – like active military — to voluntarily carry concealed so they can be a first line of defense in a crisis. To ensure maximum safety, give them background checks and routinely evaluate their proficiency and safety standards. The counterargument is equally simple, but uniquely foolish: leftists equate more guns with a higher risk of shooting incidents. The facts, however, don’t merit this gun-phobic claim. Before jumping on the gun ban bandwagon, we should get our ducks in a row and look at the raw facts. First, statistics show an inverse relationship between gun supply and gun violence. Far fewer individuals are killed annually by firearms than are slain by automobiles. A study by the National Highway Traffic Safety Administration in 2010 cites that “33,808 traffic related deaths occurred, and an additional 10,839 were caused from drunk driving.” That same year, the FBI recorded that only 8,775 murders involved firearms. When you compare these statistics, from a total of 136,000,000 automobiles owned and a total of 270,000,000 firearms, the rate of murder per 100,000 firearms owned is one fiftieth the rate of murder per 100,000 automobiles. Given that limiting firearms because they are far too dangerous is the crux of the gun-control advocate’s argument then, by this data, automobiles are more lethal and should be banned first. They can even be weapons for terrorists, as we saw in the 2016 car attack in Nice, France. What if we try to apply gun control language to these cases: perhaps ban only certain kinds of cars? Maybe we should just ban cargo trucks? Of course, automobiles provide transportation, which is crucial to society’s function. So, too, are firearms crucial to society’s self-defense. A time-tested study from Kennesaw Georgia highlights how profoundly firearms deter would-be criminals. 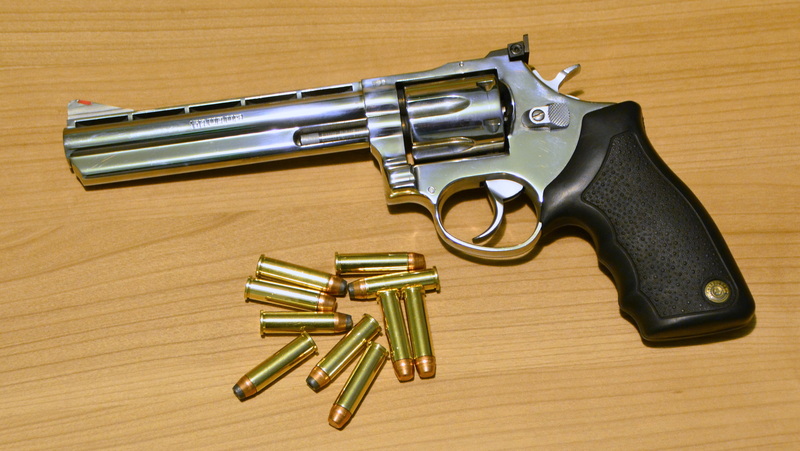 In 1982, Kennesaw passed a law requiring each household to own at least one firearm. That year, crime against persons plummeted to 74 percent compared to ’81, and fell another 45 percent in ’83 when compared to crime levels from ’82. To this day, Kennesaw is “murder free.” Furthermore, in a recent study of convicted felons, 60 percent admitted they avoided committing crimes when they knew the victim was armed, and 40 percent of those same felons reported they avoided committing a crime if they had merely suspected the victim was armed (page 27). All this should lead us to conclude that signs declaring a building gun-free succeed only in repelling law-abiding (CCW) permit holders, while glowing like a giant neon sign for criminals, reading “Safe Space for Shooters.” Of note, 98% of public mass shootings take place in gun-free zones. Despite these troubling facts, leftists still want to clip our wings as citizens, enabling mass shootings; our laws and their underpinning philosophy, however, forbid this. What about the right to defend ourselves in the face of a mass shooting? What about our negative right to demand spaces in which our ability to defend ourselves is not so restricted? At UM, an unabashedly proud gun-free campus, one of too many likewise campuses in the US, this liberty has been marginalized. What about the right to defend ourselves in the face of a mass shooting? What about our negative right to demand spaces in which our ability to defend ourselves is not so restricted? At UM, an unabashedly proud gun-free campus, one of too many likewise campuses in the US, this liberty has been marginalized. We can’t be afraid of ruffling the feathers of the gun-phobic UM command structure. We must get tough and end safe spaces for shooters, arguing to expand concealed carry on campus. We must be jealously protective of our own lives and those of our peers, and be prepared to violently defend them, lest we be prepared to violently lose them. The University of Michigan can no longer ask us to be sitting ducks. Well-regulated gunners make shooting practice their entire life. They have no business with, and no room for, anything except defense. They can very well be accredited security officers. But they cannot be teachers, or anyone else with a life beyond responsible gun use. Not to be picky, but… I’m going to pick. Millions of guns and trillions of rounds implies millions of rounds –per gun– on average. Probably not. Probably “billions of rounds” implying thousands of rounds per gun on average. The universal truth of “gun-free zones” is this – the criminals carry anyway so the zones aren’t really gun free. OTOH, licensed carriers commit crimes at less than 1/2 the rate of sworn police officers! It’s funny, it’s a cliche, but it’s also true. “With 450 million guns and several trillion rounds, if we (law abiding gun owners) were the problem you’d know it”. (The 270M figure quoted in the article is valid, sort of, but out of date – there’s been 270M guns manufactured or imported since ATF started tracking in ’68 – but I’ve got working firearms that are more than 100 years older than that). Strange as I carried concealed for years while attending school for my degrees as did several others I know. I guess we just never knew it was supposedly against the law. I suppose that I would have carried regardless though. Thanks for clarifying. I wasn’t sure whose reasoning it was. Robin . . . I’m not sure you understood my post, it was meant to show the condescending hypocrisy of the anti-gun argument as to why they don’t think teachers have any business exercising their Second Amendment rights on the job. To your points: 1) Of course, but they needn’t have died if they had been armed. 2) your second point is circular reasoning. Mainstream Media: The (unarmed) teachers who have died charging at school shooters were brave and courageous heros! Gun-Free Zone Apologists: Even if armed, teachers are unable to actively engage school shooters simply because they are just teachers. Rational argument based upon empirical facts, leading to a logical conclusion which could actually assist in mitigating the problem at hand. How refreshing that the opinion and argument could actually be made and published. This is a start, but has it little chance of adoption as the campus generally has been indoctrinated with politically correct (but totally illogical) doctrine of “protecting” itself by being a defense free zone. UN-infringed, the Second Amendment is self-mitigating! You do know there is a law suit against UM on this issue. Back in 2002, I rented an apartment right above the spot where 2 umich football players got shot outside a party a couple blocks from south quad (across from Fingerle Lumber on Madison). By the time the police showed up, everybody was scattered and gone. My driveway got taped off as a crime scene. I don’t know if they ever caught the shooter, but I know they didn’t catch them that night before they had a chance to shoot people – or even before they had a chance to run away. I know this because at 3am the police came pounding on my door trying to find any witnesses they could. I think that was the first shooting I witnessed up close, and I’ve been extremely pro-gun (for good people) ever since.